The Senior Commission of Wauwatosa would like to communicate more effectively with neighborhood associations in Tosa via a Senior Liaison. The liaison does not need to be a “senior”, just someone who has a passion for helping our senior neighbors make connections with the various resources available to them. 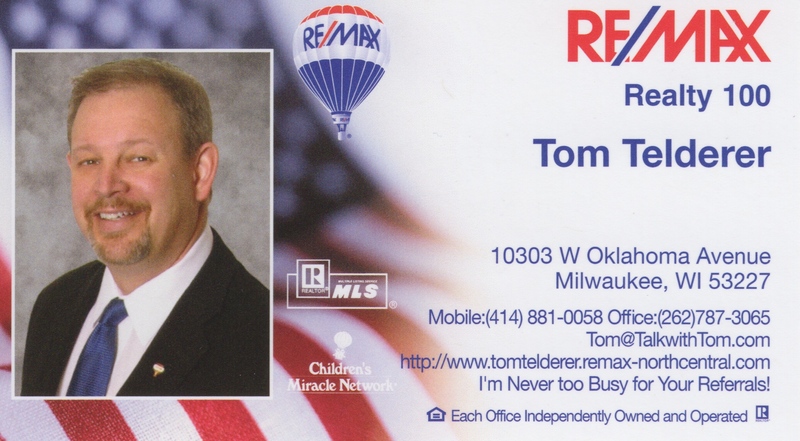 You would be invited to attend meetings of all Tosa neighborhood senior liaisons, perhaps a couple per year, and be the ‘keeper’ of the brochures provided by the Senior Commission. It would be a very simple volunteer position you could list on your resume. Great for a local college student or professional in need of volunteer hours. Information about the next meeting is below. Please email pabstpark@gmail.com if you are interested in being the liaison for Pabst Park. The Senior Commission invites you to attend the Senior Liaison Planning Meeting on April 11, 2017 at 6:30 – 8:00 pm in the Firefly Room, Tosa Library. . This is a follow-up to the February meeting where we discussed our vision for this new volunteer position in each Neighborhood Association. All are welcome! We will begin the meeting with a brief summary of that vision. We will then map out how you envision the Senior Liaison in your Neighborhood. We believe that the Senior Liaison position should be tailored to your unique Neighborhood. 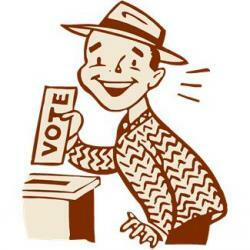 Just as each Neighborhood has its own personality, so will the Senior Liaison role. Please join us for this exciting new venture! 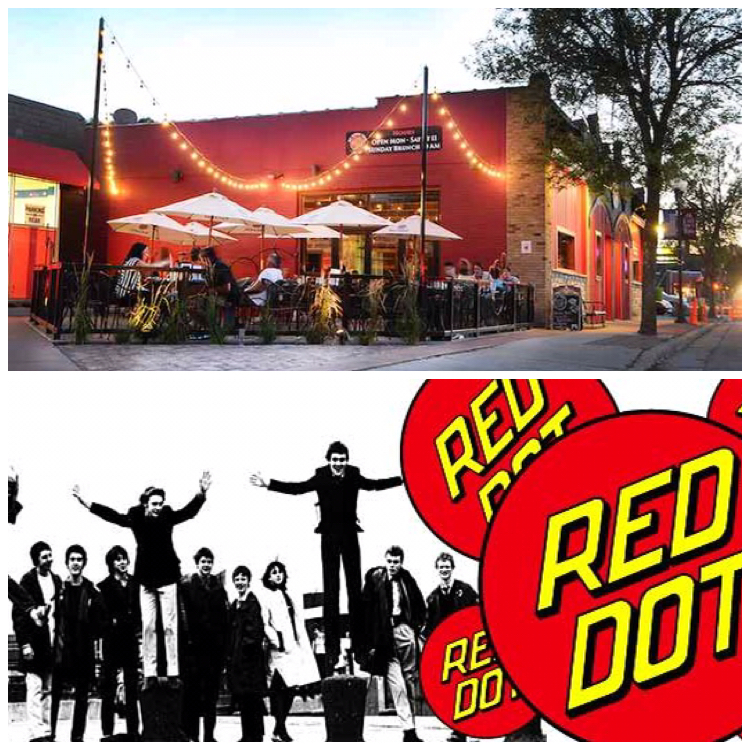 Great to see everyone at Red Dot. Thanks to CoCo Gingrass for organizing this event! Congrats to Carl on 65th who won the Speedway Gift Card. If you are not a current member, please consider joining or renewing your membership at this time. Not sure if you need to renew? Email pabstpark@gmail.com to find out! We have a design for our street sign project! Please vote, here, for the color scheme you prefer. Thanks so much to neighbor Jim Hass of OldDogDesign for his time, efforts and creative talents! 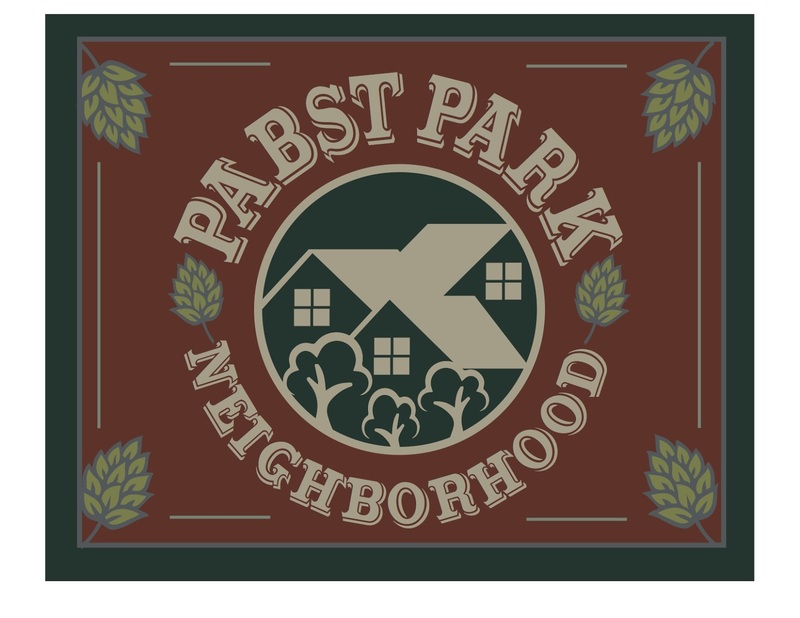 Jim was able to incorporate the coziness of our neighborhood with a historic shout out to our Pabst hops farm roots! With our Metcalfe’s fundraiser and other donations we will most likely be able to purchase at least 30 signs that are 30″W x 24″L. If you see Jim out and about, thank him for his efforts. If you need a graphic designer, throw some business his way! You can contact him at olddogdesign@att.net.